A gentleman's introduction to the original performance wear. Tweed fabric and clothing, as we know it today, hearkens back to what was basically hunting camo for 19th century British royalty. Tweed fabric is what Victorian sportsmen wore while hunting on their Scotland estates. 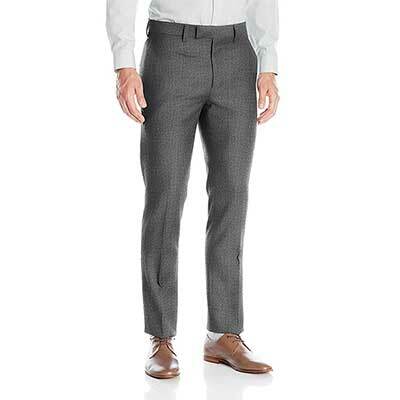 With its durability, moisture-resistance, light-weight and warmth, tweed fabric was the perfect material for withstanding harsh climates while looking sharp. And that encapsulates a lot of tweed’s appeal: it’s both rugged and aristocratic and it’s both casual and refined. Tweed fabric and clothing is the original gentleman’s performance wear, sporting a timeless look with a vintage poise that speaks of physical fitness and adventure rather than cloistered raised pinkies. Like any look with staying power, tweed has a long storied history. Some of this history helps explain the terminology, brands, and styles we see today. 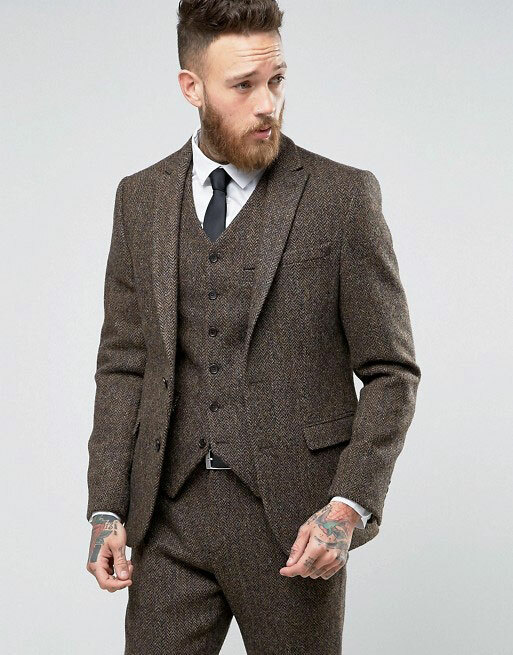 Tweed is a very broad category that encompasses many variations and exceptions, but generally speaking, tweed is a woven, woolen cloth for making heavyweight clothing like suit jackets. The word “tweed” comes from the Scottish word tweel or twill. As the story goes, a scrivener’s error (or perhaps a reader’s error) wound up conflating “tweel” with the Tweed river in Scotland, and since then, the term “tweed” stuck. Overcheck Herringbone (Estate Tweed): Like an overcheck twill, but with a herringbone weave. For more detail on estate tweed, see below. Barleycorn: A coarse, flecked pattern, like corn rows. Some of the tweed patterns you see today have historical significance. These fall into two broad categories: estate tweed and tartan tweed. Estate tweed first rose to popularity in the Highlands, where Queen Victoria and Prince Albert made hunting estates all the rage. Gentlemen among the royal hunting parties wore tweed for its warmth and moisture-resistance. Each estate would commission their own tweed pattern to be worn on that particular hunting estate. The estate tweed worn by British royalty itself hearkens back to another tradition: the clan tartan. 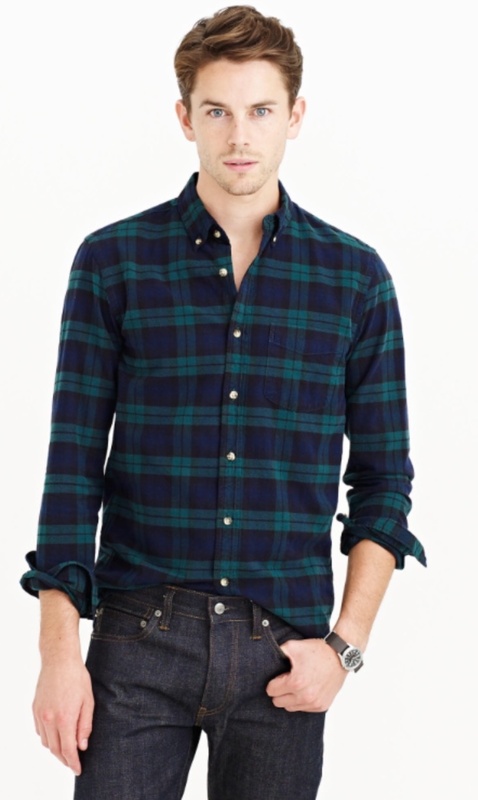 Tartan is what we in the U.S. know as plaid and it too was made from woven, pre-dyed wool. Clan tartans sport traditional patterns that are associated with a particular ancestral clan from back in the days when Scotland was governed by a system of warrior clans. In their eagerness to echo local culture, British royalty established their estate tweeds on a similar tradition. E.P. Harrison, author of Scottish Estate Tweeds, points to the Highland Estate of Glen Feshie as the place of origin for Estate Tweed. Inspired by the clannish tartans, but culturally disallowed of their use for members of her estate, Miss Balfour of Glen Feshie created the first patterned twill to differentiate her huntsmen from her shepherds. The first Estate Tweel (later “Estate Tweed”) shared the cream checked fabric, but was constructed with an additional red overcheck. So, a clan tartan identifies family kinship, while an estate tweed identifies an association based on land ownership and nobility. Today, you can find tweed that bears both clan tartan patterns as well as traditional estate patterns. Both clan tartan and estate tweed are products of the early 19th century. Because of the role Scottish warrior clans played in the Jacobite uprising, tartan was banned during the mid-18th century. Prior to that, clans wore tartans based on whatever cloth and color was available in the region. When the clan system died out and attitudes shifted toward preserving Highland culture, that’s when clan tartan came into vogue. The patterns were retroactively associated with specific clans and were adopted by those who trace their ancestry to those families. The plaid patterns we see today originated as clan tartan meant to celebrate Scottish heritage. When Scots went to fight for the British Army, they incorporated clan tartan into their military uniforms. The most recognizable patterns are the Royal Stewart Tartan and the Black Watch Tartan. Traditionally, tweed is made from wool. You may still see tweed advertised by the kind of sheep it comes from, such as cheviot tweed, merino tweed, and shetland tweed. The type of wool used will affect the look and feel of the tweed clothing. There are also other tweed materials, such as silk tweed and cotton tweed, but handwoven woolen tweed is the original. Tweed material is only one of the factors in a piece’s weight and softness. The quality and style of the weave matters just as much. Traditionally, tweed is handmade, and the highest quality tweed you’ll buy today is still handmade. Handwoven tweed is heavier and coarser, while machine-woven is softer and thinner. That being said, machine-woven fabrics have come a long way, and it is possible to get high quality tweed that isn’t handwoven. This is, in essence, a guarantee of quality and origin. During the early 1900's tweed was typically handwoven inexpertly. Wool was hand-washed before being dyed with the colors of local plants, and it was then often woven in homes. It had a rather charming quality, rather than a high quality. On Scotland's northwestern side lies the Outer Hebrides and the Isle of Harris and the North Harris Estate. Catherine Murray, the Countess of Dunmore and inheritor of the Harris estate, fortuitously met the Paisley Sisters who were particularly superlative weavers. She commissioned the sisters to begin producing tweed for her estate’s members. Lady Dunmore was notably proud of her tweeds and began to offer the fabric to surrounding estates. As this fashionable Harris Tweed exploded in popularity, Lady Dunmore sent more weavers inland to improve their craft and boost her estate's production. A true entrepreneur fueled by Great Britain's increasing interest in cold-weather hunting, she endlessly sought to improve her product and production. Demand did not stop at the borders of Scotland, and soon she was selling tweeds all over Britain. Today her legacy lives on, as Harris Tweed remains the largest producer of tweed in the world. As decades passed and the market for tweed boomed, inexperienced weavers produced and sold an inferior tweed, and Harris Tweed faced a crisis. To protect its product, Harris Tweed lobbied for protection. 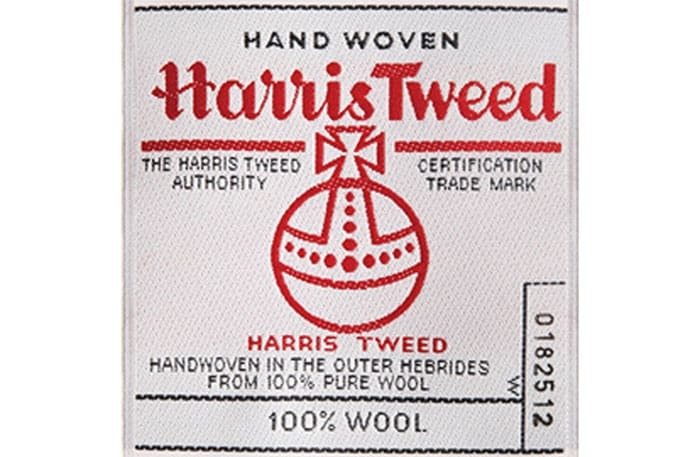 In 1909 it gained the Orb Trade Mark, defining Harris Tweed as “tweed made from pure virgin wool dyed and spun” exclusively in Scotland's Outer Hebrides. This also made it the only fabric in history protected by an act of Parliament. In 1993 the Harris Tweed governing body would grow into the Harris Tweed Authority which had the exclusive right to stamp authentic Harris Tweed. Into the 20th century, designs multiplied and machined tweeds became more common. Tweed production expanded throughout Great Britain and across the world. However, tweed continued to be produced the traditional way, especially in Scotland and Ireland. Tweed's peak production occurred 50 years ago. The sales records for tweed worldwide are hard to find, but we do know that 7.6 million yards of Harris Tweed were produced in 1966. With sales continuing to plummet in the 1990s and into the 21st century, a majority of Harris Tweed shares had to be sold to a Yorkshire businessman–Brian Haggas. Haggas reduced Harris Tweed's 8,000 designs to 4 and set the company's focus on jackets. Workers whose great ancestors worked with Harris Tweed found themselves without work, and by 2009 fewer than half a million yards were manufactured. Unperturbed, Haggas marketed Harris Tweed at fashion shows and big retailers. Harris Tweed had a resurgence, and since 2012 it has manufactured approximately 1 million yards a year–twice its 2009 production. Today Harris Tweed fabric can be found everywhere from L.L. Bean to J.Crew to Nigel Cabourn. Donegal tweed is another common term, but it’s not regulated in the way that Harris Tweed is. Donegal tweed refers to the style that originated in Donegal county in Ireland; Donegal tweed doesn’t necessarily have to be made in Donegal to bear its name. Donegal tweed fabric is known for its flecky patterns and softer, lighter feel compared to Harris Tweed. But as a more loosely defined term, you can find Donegal tweed in a wide variety of colors, patterns, materials, styles, and quality. Each yard of tweed is woven with a mile of history. In the 21st century the fabric can be found on the jackets of athletes and the hats of hip-hop artists; on runways and hotel upholstery. Scottish estates still sport their ancestral tweeds, and yet the tweed industry is one that appeared on the verge of collapse one decade ago. Truly a durable fabric, today it continues to resonate in our hearts and minds. As with fine wine, knowing the history of tweed isn’t essential to buying and enjoying great tweed, but it certainly helps add to the depth of the experience. Scotland's hand-woven Harris Tweed, responsible for the initial popularity of tweed throughout the British Isles, remains the best recognized and most widely regarded producer of fine tweeds. Harris Tweed is the largest commercial manufacturer of tweed using traditional methods. Due to unique legislation protecting Harris Tweed products, the brand offers clothing of guaranteed high quality. Harris Tweeds have been called the armor of tweeds due to their hardiness and durability. Unlike many tweed producers, Harris Tweed dyes their wool before spinning, producing a complex, enduring color. Like many great pieces of art, a closer look reveals the tweed's increasing beauty. Those interested can go directly to the Harris Tweed Shop. A menagerie of products from trousers to baseball jackets is also sold by many brands such as Land's End, Orvis, and Brooks Brothers. 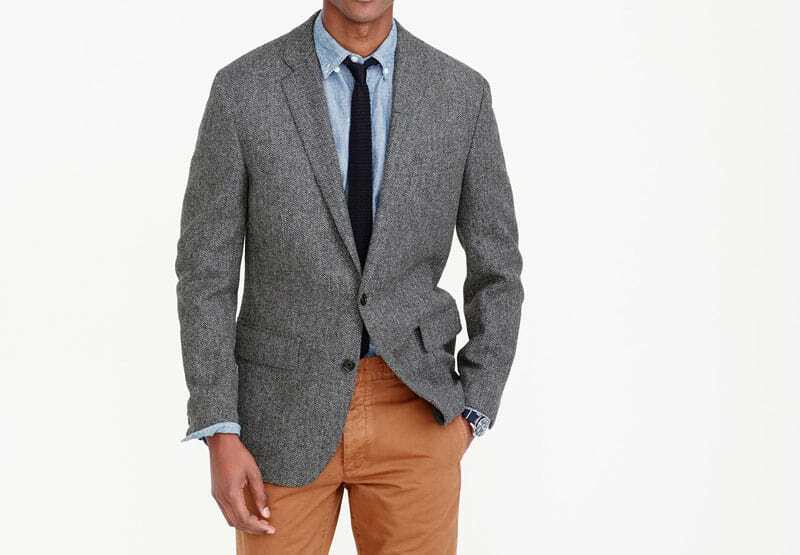 Unbelievably, this jacket from ASOS is 100% wool from Harris Tweed and is only $188. Although not quite as well known as Scottish tweed, the cloth's Irish counterpart offers a broader spectrum of options. Donegal Tweed fabrics are often heathered and flecked with color, and range from hand-woven thicknesses common in Harris Tweed down to soft powerloomed tweeds which are notably thinner. Donegal Tweed is not a trademarked title, so a larger number of options accompanies a wider range in quality. Although some Donegal Tweeds do not quite measure up to the Harris Tweed quality, several Irish brands offer products which some argue exceed the quality of Harris Tweed cloth. The most prominent name in Donegal Tweed is Magee which has been in producing fine tweeds for 150 years. Magee offers a large variety of merchandise, including jackets, overcoats, suits, and accessories. Several brands also offer exception Donegal Tweed such as Molloy & Sons, W. Bill, and Porter & Harding. If you liked this post, please consider sharing it to help get the word out about Primer!